Is your website taking a huge time while loading? How often do your website pages get stuck? Do you feel something strange in your website? Or are you experiencing a decrease in website traffic? Or perhaps you weren't able to login as an admin a few days back? If you ever encountered any of these issues, be aware! Your website might be at risk and it might be a victim of cyberattacks. Even if you don't experience any of the above signs, still you can't be sure if your website is secure. It might happen that you didn't notice an attack which was residing in your website from past one year. So, it's essential to know about what type of data are you dealing with. The main data threat is the rising of cyberattacks which can ruin your website in a moment. Let's explore more about cyberattacks. Cyberattack is basically a malicious attempt in order to exploit data or gain unauthorized access to the user's sensitive data. And when we talk about the startup websites, it becomes necessary to safeguard your data at all costs and stay away from cybercriminals. 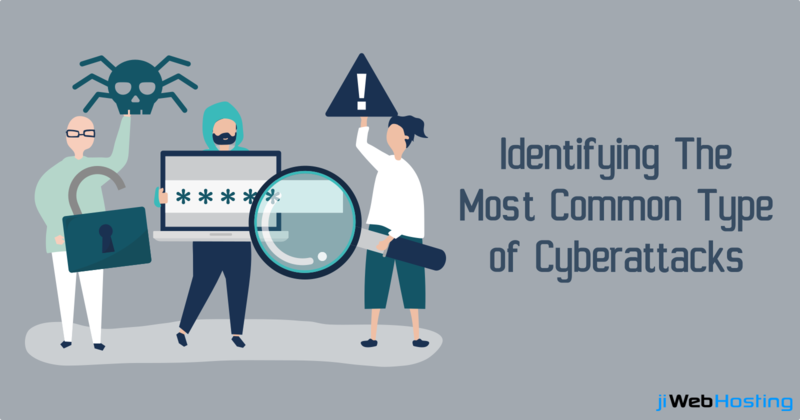 So, it's time to learn the most common types of cyberattacks and the tips to fix them. Defacements: Defacements have been the easiest way to identify that your website has got infected. Defacements occur when a hacker replaces the website content with some other random content and images. This will display content which is useless for the customers, and thereby, you might lose those customers forever. Ransomware: Ransomware is a malicious software which blocks the files and folders on your computer and makes it inaccessible for you. Whenever the user tries to view the files, the content is displayed in an encrypted form. To decrypt the data, the user is asked to pay a huge amount to the hacker. In fact, even after paying the complete amount, the users still not receive the complete data. DDoS attacks: A Distributed Denial of Service (DDoS) attack is an attempt made to attack a website or a server and denies services to the users of the targeted source. And the reasons behind these attacks could be several, including poor coding, unstable systems, or missing patches, or from a hacker too. Backdoors: Once a cybercriminal has attacked your website, those hackers leave a backdoor in your website so that they can again attack your website in future. And the worst part is, it is very difficult to identify the backdoors on the customer end. SQL injection: SQL injection is a form of a hacking attempt which mainly targets the web apps and websites which are linked to and interact with the database. The attackers add some SQL queries to the database and try to modify the tables or if possible, they might delete the complete database. Cross-site scripting: Cross-site scripting(XSS) is the most common type of hacking attempt where the hacker infects the web page with a malicious client-side script. As soon as the user opens this page, the script gets downloaded to the browser and executes thereafter. Redirects: Redirects occur when a user opens a website and automatically gets redirected to a legitimate website. And if this is happening on your website, then your website has surely become a victim of a cyberattack. Keep your website secure & updated! As the number of websites and data is increasing in this fast tech world, so are the hackers growing. It's time that you get a suitable webhosting provider like jiWebHosting to get your website hosted perfectly from them and stay on the safer side. Try our affordable hosting plans now and make your website secure as never before. After all, compromising with your website is compromising with your customer's trust!